Portofino is the ideal destination for a dream vacation, an unforgettable holiday, an exclusive event, a romantic wedding, a prestigious meeting or incentive in the fascinating atmosphere of the Italian Riviera. Prestigious hotels, quality restaurants and a wide choice of proposals for sport, nature, culture, sea holidays, and entertainment. 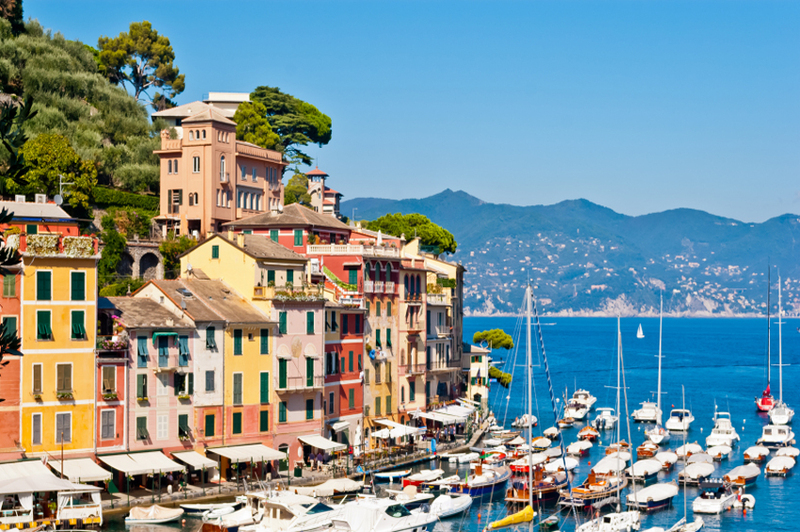 It is impossible not to fall in love with Portofino! Meet Italy Creative Staff at Genoa Airport. 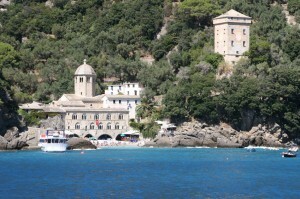 Transfer by deluxe coach or limousine to the hotel in Portofino. Dinner and overnight at the super deluxe hotel. Continental breakfast. 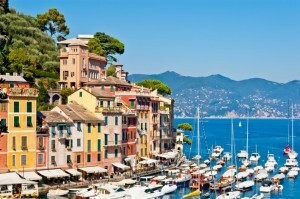 Walking city tour of Portofino. Lunch in a typical restaurant. The afternoon is free for individual activities or for a shopping tour with a Personal shopper. Transfer by deluxe coach or limousine to Rapallo for the dinner in an exclusive restaurant, Return to Portofino for the overnight. Continental breakfast. 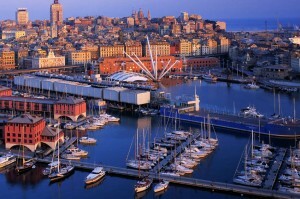 Departure by deluxe coach to Rapallo followed by the city tour, then to Santa Margherita Ligure. The tour continues to Recco for the lunch in a typical restaurant in Recco, to taste the famous “Focaccia di Recco”. Departure by private motorboat from the harbour of Recco to visit Camogli, Sant Fruttuoso Abbacy, part of the heritage of FAI – the Italian Environment Found – has extremely old origins, dating back to the 8th century, then back to Portofino. Cocktail on a suggestive roof terrance in Portofino. Dinner and overnight in the hotel. Continental breakfast. 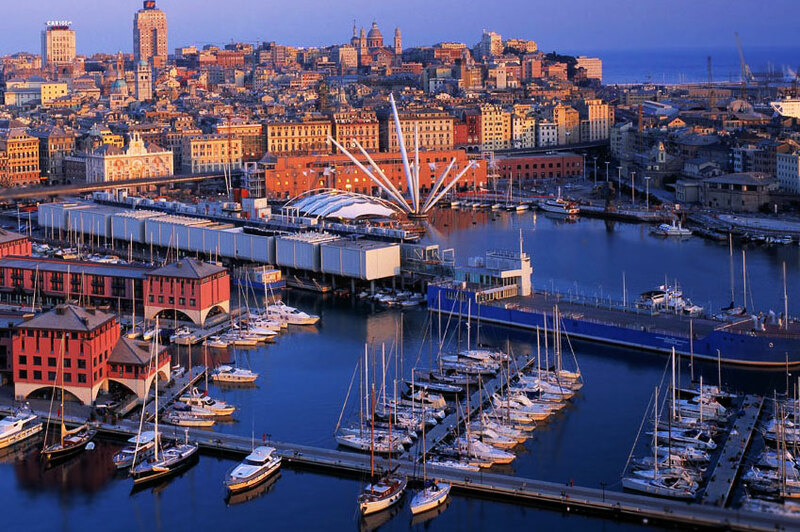 Departure by deluxe coach to the airport of Genova. 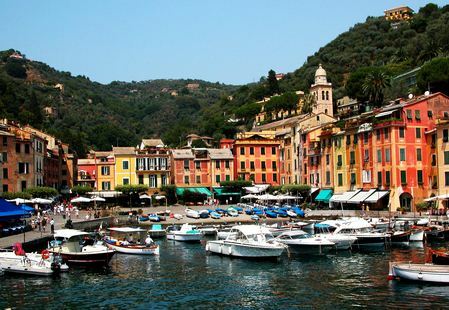 In Portofino’s area there are a wide variety of local handcrafted products of high quality. Many types of important handiwork are still carried out according to typical methods, such as the velvet in Zoagli, the slate in the Fontanabuona Valley, the chairs in Chiavari, the lace in Rapallo and Santa Margherita Ligure. In the town of Lorsica, located in the Fontanabuona Valley, in the hinterland of Portofino Coast, the antique art of Damask production still thrives. Thanks to the link with Genoese corporations, during 15th century silk and damask production started in this area and nowadays is still carried out on antique looms, with the two sides of the fabric that still bear the same designs as long ago. The classic motifs of the palm tree, the fine consistency of the work and the complexity of the design which recalls old patterns, such as the palm tree, the rose, the parsley or the Napoleonic bee, make these products particularly precious. The art of weaving silk and velvet in Zoagli dates back to the Medieval age, but this activity was developed starting from the 16th century when the weavers of Zoagli gradually became masters in the production of very refined plain and damask velvets. At least 1200 looms were at work in Zoagli during 19th century. Some of them are still used by two shops of the town that are specialized in velvet and damask traditional high quality production. The craft of making traditional pillow lace is typically found in the small cities of the Tigullio coast, where it was popular since 16th century, especially in Santa Margherita Ligure, Portofino and Rapallo. This particular type of handiwork is performed by weaving the threads held taut on bobbins (called “caviggae” in dialect) into a pattern marked on the pillow, called the “ballun” due to its round shape. The lace-workers rest the pillow on their knees and a sheet of parchment paper with holes outlining the design is placed over the pillow. Pins stuck through the paper into the pillow guide the threads, which are woven into beautiful lace patterns. An extraordinary collection of pillow lace in on display at the Rapallo Museo del Merletto, located in Villa Tigullio. The name Macramè is of Arab origin and it applies to the craft of producing linens (tablecloths, towels, clothing accessories) with long fringes made from the same threads of the fabric, braided and worked with a series of knots into elegant patterns. This art was introduced to Liguria in the 14th century by sailors returning from their voyages, especially in the area of Chiavari, where they taught their women how to braid the fringes, a practice that requires both patience and skill. Chiavari’s famous macramé is made using this method which requires the use of a special frame which holds the fabric in place while it is being worked on. Slate, the precious black stone, is the symbol of Liguria. The main reserves of slate are found on the Mount San Giacomo, near Lavagna, and in the Fontanabuona valley, where there are still many open mines, craftsmen and small industries that work the stone. Authentic slate can be split perfectly into very thin pieces, thanks to the expert skill of the “spacchino”, or slate splitter. Slate is used in several ways, for construction, for the production of billiard tables, furnishings and various articles. The Chiavari chair, called “Campanina”, whose name comes from the person who invented the idea in the early 1800s, are recognized by their slender, rounded shape which respects the natural curves of the wood. They are exceptionally light, due to the type of wood used (originally maple, though today cherry and beech are used), but also particularly strong thanks to the particular assembly technique, whereby the pieces are fit and glued together using a hot glue. The cane seats are woven directly onto the chairs using 4 strips of willow bark. This work is always performed by hand. The Campanino chairs are also very popular abroad and are still produced in various small workshops in Chiavari. Corzetti, or “croxetti” in Genoese dialect, are a kind of fresh round shaped pasta typical of the Ligurian cuisine. In the Tigullio Gulf area corzetti are prepared with a little wood mould that gives the pasta a typical shape and embossed decoration that helps to hold the sauce better. During the Renaissance the local aristocrats had their own moulds that were used to stamp the corzetti with the family’s coat of arms. In the historic centers of Genoa and Chiavari there are still some workshops that produce these handmade wood moulds. Don't hesitate to ask for more details, drop us a line!